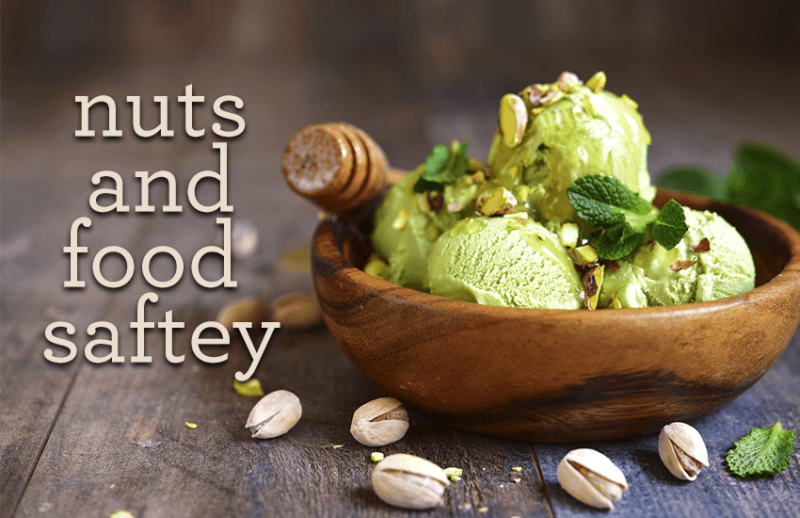 Nuts and food safety is an important topic when customers with food allergies are dining out. Several customers have asked if Epic Gelato offers flavor options for people with nut allergies. We certainly take customer safety seriously. We also want everyone to be safe and well informed. Epic Gelato only has one gelato machine (batch freezer). We sanitize all the parts between nut based batches, However nut based products do travel through the machine. If you have a severe allergy, this might not be “good enough.” The most important thing is that you are safe. Our gelato is classically served in an open display case format so customers can enjoy the beautiful display of the freshly made gelato. We try very hard to make sure everything is nice to look at and delicious to taste. In our (nut) context, this means that nut and non-nut based products are open and in the same display case. It is possible for cross contamination to happen as a normal part of dipping and serving gelato. Read your labels. The only path for a small cafe like Epic Gelato to be able to provide 100% safe non-nut offerings is to have an isolated food storage and production environment and a separate and display case for nut based products. This would be tremendously expensive and would require significant additional square footage and overhead. We unfortunately do not have the infrastructure or financial strength to support this. What is out there that might work for me? Made on equipment with eggs, wheat, peanuts and tree nuts. All our ice cream is produced on the same production lines. Equipment is washed down between runs but trace amounts (of allergens) may still be present. So, there you have it. Do your research and if you are not satisfied with the label information, contact the manufacturer directly and make doubly sure you understand their manufacturing process.